The spot gold price was up 0.7 per cent at $1,286.07 per ounce by 1400 GMT, after hitting an earlier high of $1,286.40, its highest level since June 8. 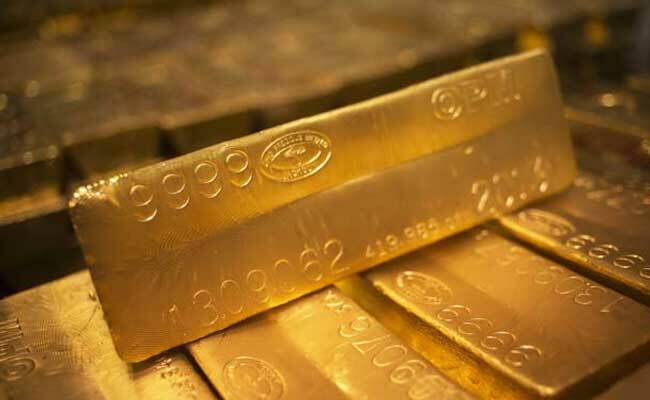 US gold futures for December delivery climbed 1 percent to $1,291.80 per ounce. London: The price of gold climbed to the highest levels in two months on Thursday as the United States and North Korea exchanged more threats, prompting investors to buy bullion as a safe haven asset. "For now, the uptrend is very much intact in gold, reacting to external geopolitical events," said Jonathan Butler, commodities analyst at Mitsubishi in London. The spot gold price was up 0.7 per cent at $1,286.07 per ounce by 1400 GMT, after hitting an earlier high of $1,286.40, its highest level since June 8. The price rose 1.3 per cent in the previous session, the biggest gain since mid-May. Gold extended gains after data showed US producer prices unexpectedly fell in July, recording their biggest drop in nearly a year and pointing to a further moderation in inflation that could delay a Federal Reserve interest rate increase. The market was waiting for US consumer inflation data on Friday that would offer more clues about future Fed decisions. The $1,279 area is a key technical level, representing a downtrend that has been in force since mid-2016 when gold surged to a two-year peak of $1,374.91. "If we break above this downtrend, then we potentially open up the region up to $1,300, the recent highs we saw in April and June," Butler said. Speculative positions in U.S. gold futures remain subdued, said UBS strategist Joni Teves. "Subdued participation this year and lean positioning suggests that market participants would have to play catch-up on a break higher," she said in a note. Physical gold demand, however, was sluggish in India while the rally in global prices dampened buying elsewhere in Asia and holdings of the largest gold-backed exchange-traded-fund (ETF), was unchanged on Wednesday. "At least in this segment, investors apparently remain reluctant to seek gold's safe haven. The gold market shows various signs of ambivalence and we believe that this pattern will continue into the foreseeable future," Norbert Rucker, head of macro & commodity research at Julius Baer, said in a note. In other precious metals, silver surged 1.7 pe rcent to $17.20 an ounce after hitting $17.24, its highest since June 14. Platinum gained 1.1 per cent to $982.40 per ounce after touching $983.60, the highest since April 18. Palladium climbed 1.1 per cent to $900.85 per ounce.